The former president of Jawaharlal Nehru University Student Union has been accused of starting a brawl at the All India Institute of Medical Sciences (AIIMS), Patna. The Rashtriya Janata Dal (RJD) and the Janata Dal (United) — JD (U) — have demanded a probe into the case registered against Kanhaiya Kumar. The former president of the Jawaharlal Nehru University Student Union has been accused of starting a brawl at the All India Institute of Medical Sciences (AIIMS), Patna. Kanhaiya Kumar had allegedly attacked the hospital staff during his visit to AIIMS on Sunday night (October 14) after which the hospital staff decided to go on a strike. The strike was later called off when the police registered a case against Kumar and assured the staff of proper security. JD (U) spokesperson Rajiv Ranjan called out Kumar for his earlier tryst with law and said he was a by-product of anarchy. “Such people are by-products of anarchy. That is why they resort to such behaviour. The way the ruckus was created was a shameful example of how people like Kanhaiya Kumar have been committing sedition. We have taken cognisance of this and will follow up with the police,” he said. Kanhaiya Kumar had reportedly paid a visit to ailing All India Students Federation (AISF) president Sushil Kumar admitted to the hospital. His supporters also tried to enter the ward as a result of which, a ruckus was created. Kumar’s supporters, it is alleged, resorted to physically attacking the security guard when he tried to stop them from entering the ward. Kanhaiya Kumar is also said to have attacked a resident doctor, after which the junior doctors at the hospital demanded immediate action against the mob. 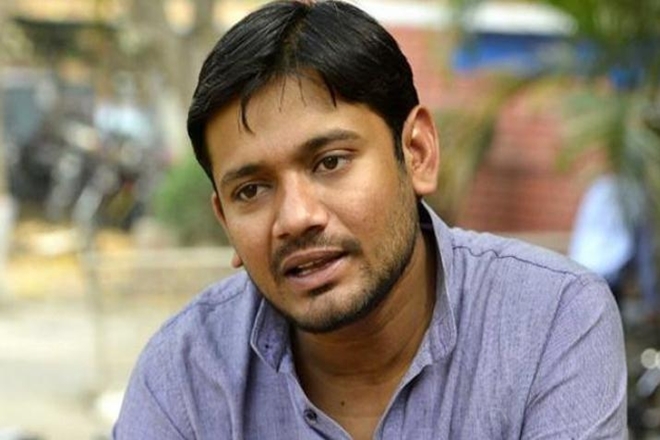 Kanhaiya Kumar is likely to contest the 2019 Lok Sabha election from Begusarai constituency in Bihar as a CPI candidate. He is said to have the support of grand alliance partners RJD, Congress, Nationalist Congress Party (NCP) and Jitan Ram Manjhi’s Hindustani Awam Morcha (Secular). Kumar first hit headlines when he was arrested, in February 2016, on charges of sedition by the Delhi Police. The charges were denied by him.